Hello Ladies! 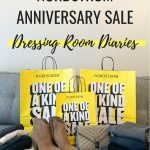 One of my favorite areas of the Nordstrom Anniversary Sale this year was the dress section. I loved all the classic silhouettes and great prints available. Plus, many of the dresses were coming in under $100! 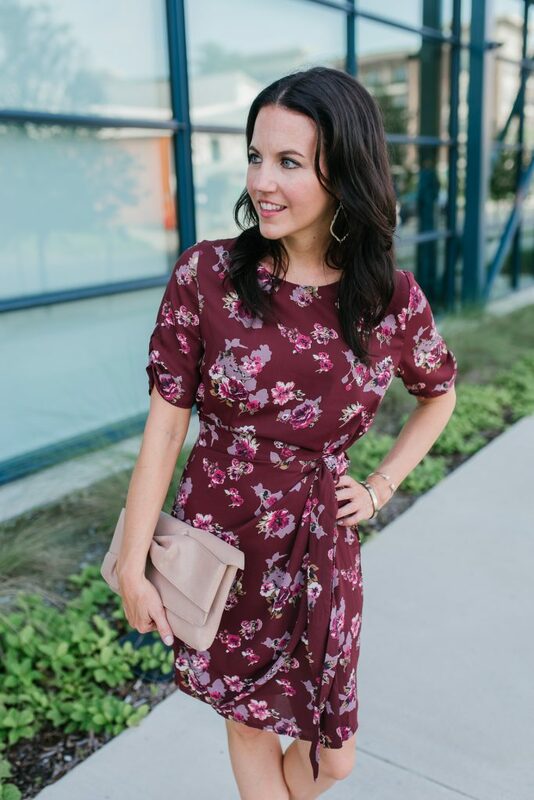 This burgundy floral wrap dress was an instant add to cart. I loved the colors in it and the $52 price tag. 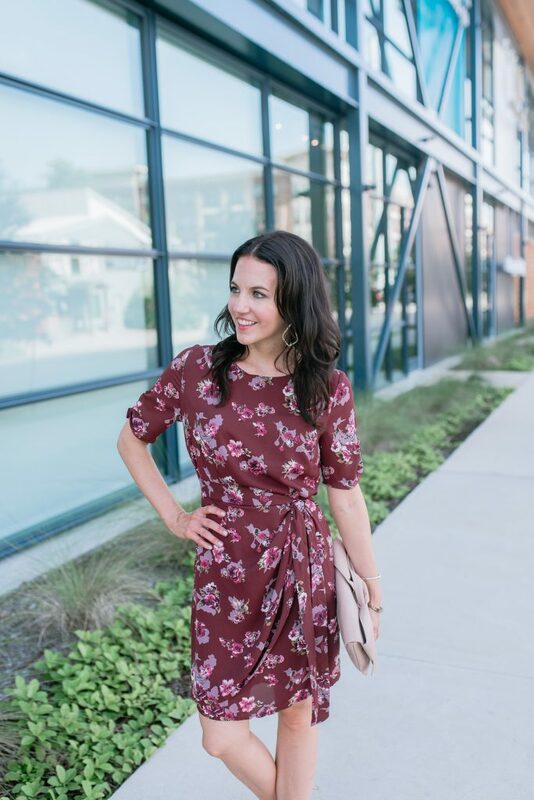 It’s the perfect summer to fall work dress. 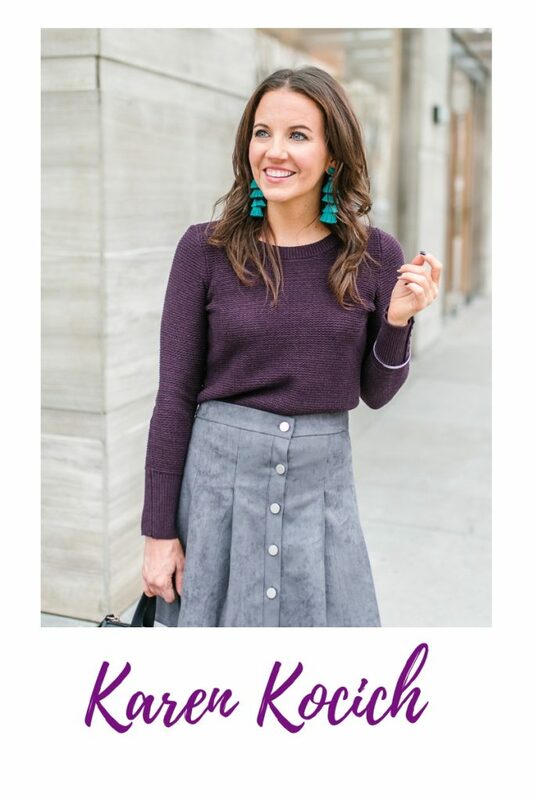 You can wear it this way for both seasons, and in fall pair with boots and and long cardigan or leather jacket. 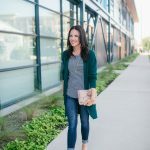 It’s a faux wrap design, so it cinches in at the waist a little to help give you a little shape. It would also be a great dress to wear to a bridal shower or head to happy our after work. 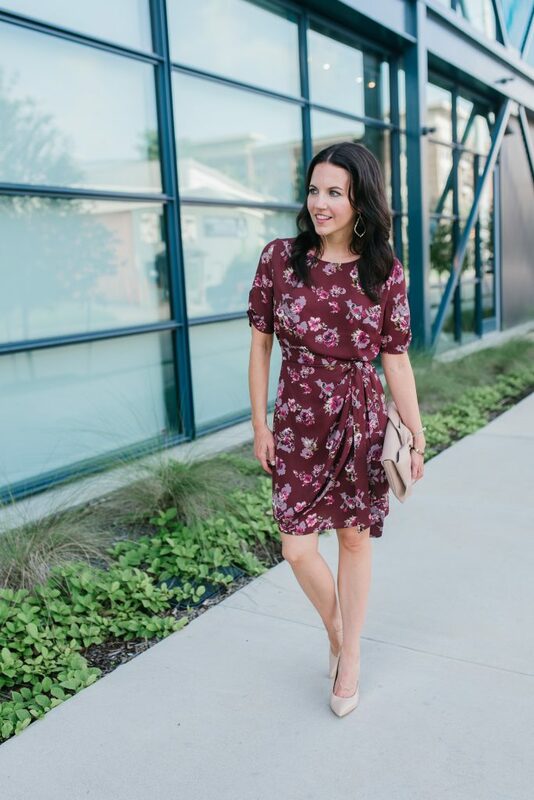 If you need some new dresses for work, be sure to check out the dress selection of the sale! Only a few more days until prices go back up! 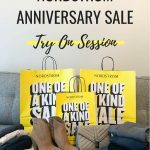 You can see more or my purchases in my Try-On Session, and all my sale related posts HERE. 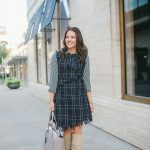 This dress is so perfect for Texas and will carry you through at least 3 seasons. I love this dress on you. Perfect for any season except winter. What a great find! 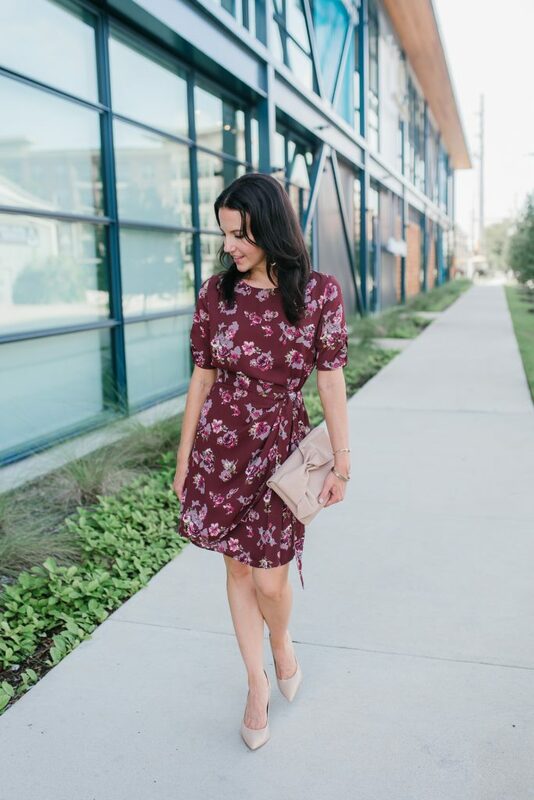 That burgundy dress is adorable! And you accessorized it perfectly. Well, at least that’s ONE item I didn’t catch in the NSale!! lol! 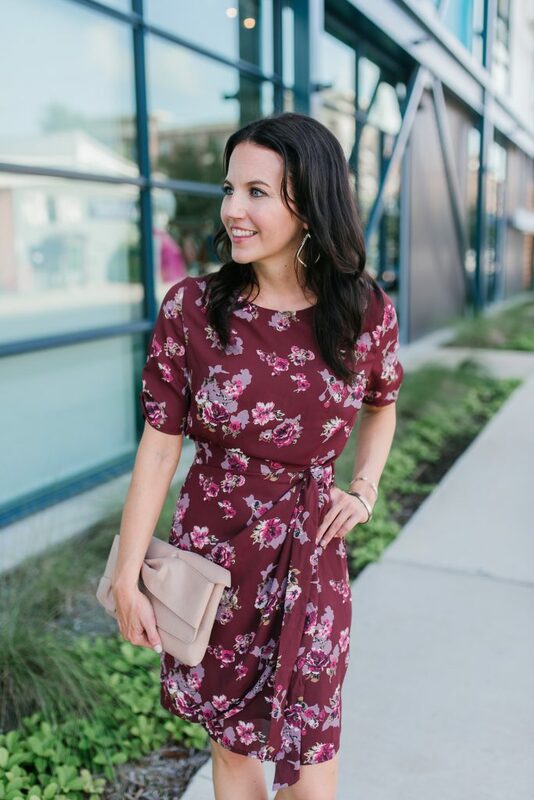 Love that floral dress, perfect Fall colors. The ruching is so flattering and what a stunning bow clutch with it!